How’s that new year’s resolution going? Are you living healthy? In Healthfest, we bring the healthy lifestyle to you. Join us on Quadrangle on Wednesday for a few tips and tricks on how to take on a healthy lifestyle. Participate in competitions, win goody bags stop by for healthy refreshments and some health advice and also to relax and pet a puppy. We have it all! We are collaborating with Armed Forces of Malta (AFM) to make sure you have never seen an event quite like this one. 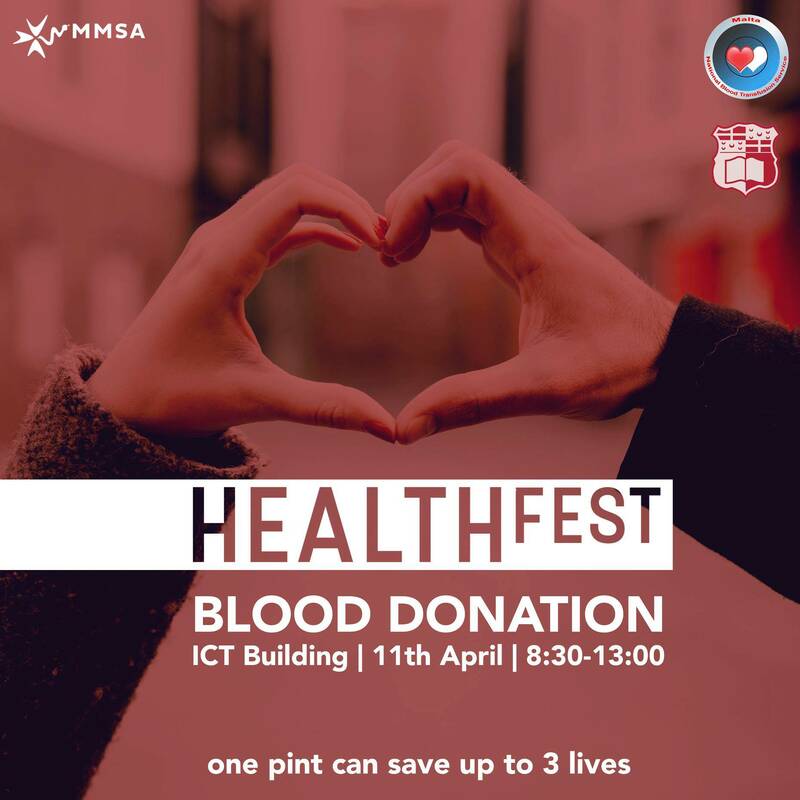 National Blood Transfusion Service - Malta to organise a blood drive on campus. This will be open from 8:30am, last registration being at 1.00pm. Make a difference in someone's life and do a good deed. Register here https://goo.gl/YV1P9X to donate on the day and drag some friends along! This year we’re also introducing healthy lifestyle classes - Health for Dummies. Classes dedicated to teaching you how to be healthy, in a reasonable and fun way. Friday’s lessons offer culinary advice from the Mediterranean Culinary Academy and we are partnering with Degree Plus Programme to bring you a choice of a self defense class and a dance class. Make sure to check out our jam packed HealthFest week!